So, I’m going to give you my three top tips on having a really happy, really healthy and very balanced festive season. My first tip is to practice intuitive eating. We’re going to put up a link to a previous Thursday Therapy on intuitive eating if you don’t have any idea what I’m talking about. But basically, it’s where we’re taking away all of the dieting rules and starting to tune in to the body. Five or six years ago when I used to be more in a dieting mind-set, I was more of a weight loss psychologist I used to really worry, as my clients did, about how they were going to manage Christmas time. We used to spend a lot of time planning, talking to family members and really laying it all out so they had a very good chance of success. But in my opinion dieting creates a very fragile style of eating. When you’re a little bit off track and you haven’t accounted for every single variable, then you’re going to fall down. With intuitive eating, for the past five or so years I’ve been working more to teach my clients intuitive eating – how to listen to their bodies and because your body goes with you into every situation you can always tune into it, it’s always there for you and it creates a more robust pattern of healthy eating. So, if you practice intuitive eating, because your body’s always there with you, you can always tune into it and because you’re not following strict rules where either on or you’re off then it makes a much more robust eating style that means you can manage much, much better when it comes to holidays, busy periods at work or different times like Christmas. My second tip is to move lots. As you guys know I favour a more balanced, flexible and sustainable approach to movement. So often when my clients are doing lots and lots of movement I kind of get really worried that it might not be good for them, or it might not be sustainable in their lives. But Christmas is a time where you can allow yourself to move maybe a little bit more than normal. You know if you’re in your everyday life and your exercises so much it’s making you tired, that’s probably not going to work long-term. But if you’ve got some time off and you do a bit more movement your bit tired you can just have a nap. So, it probably works to make a bit of time for movement at this time. Now obviously that helps counterbalance some of the extra energy that you’re probably naturally going to be taking in at Christmas time, but I also want you to think about it as a wonderful way to manage your emotional state during Christmas time. So, taking a bit of time out for you to move your body is wonderful for your emotional well-being, it can help you deal with the stress of all the Christmas preparations, it can help you deal with some sadness or loneliness if you’re missing people that can’t be there with you for whatever reason, and it can help you deal with all of the interesting interpersonal dynamics when a big bunch of friends and family get in the same room together. The third thing that I want you to do is relax. Of course, I really want you to take great care of yourself, but I don’t want a preoccupation with your weight or your shape or even your health to overshadow connecting with the people that you love and the people that love you. After all that’s really what Christmas is all about. So just remember that it doesn’t really matter too much what you do between Christmas and New Year’s, the really important thing for your health and your well-being and your weight management is what you do between New Year’s and Christmas. Just relax and have a merry, happy, healthy time. Guys thank you, thank you, thank you. We’ve turned 21. This is our 21st episode, so we’re fully grown YouTube adults now and I really have appreciated you guys watching the videos, subscribing to the channel, sharing with your friends, we’ve got some really amazing wonderful super cool stuff we’re going to bring to you in 2017 so I’m so excited for that, but I’m very grateful for you and the journey that we’ve walked so far in the first year of Thursday Therapy. 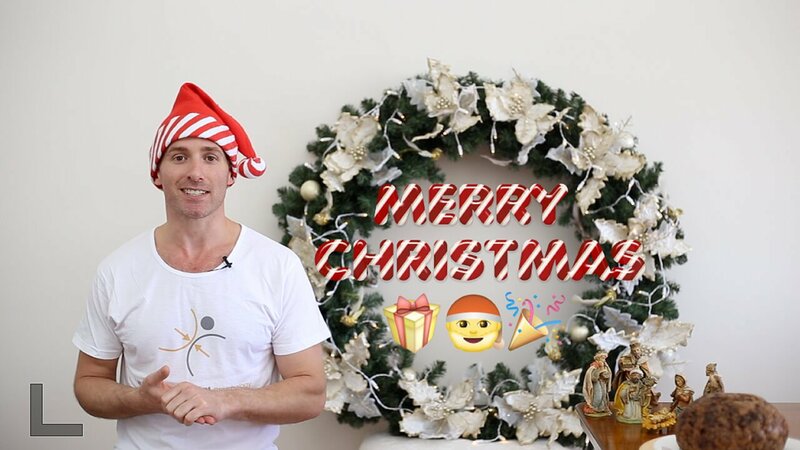 Of course, if you haven’t already subscribed for regular sessions with me and if you can think of someone that this would help, to have a happy healthy Merry Christmas please share this video with them. A lot of people do struggle around Christmas time. We at weight management psychology are going to take a well-earned break, so we’re going to see you late January for our next Thursday Therapy. But until then have a happy, healthy and safe Christmas. Hey Buddy!, I found this information for you: "EPISODE 21 3 Top Tips for a Happy Healthy Christmas". Here is the website link: https://www.weightmanagementpsychology.com.au/episode-21/. Thank you.